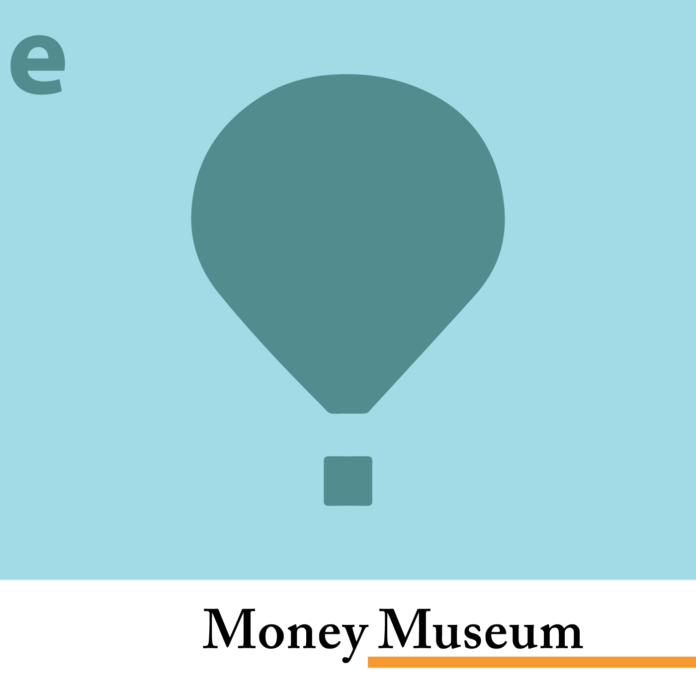 These 5-minute podcasts entertainingly explore the topic of money. Learn about the very first coins in the ancient world, the first dollar bill, the land where feathers were currency, or just what Bitcoin really is, and much more. Numismatists call a special thaler struck in Zurich in 1660 “Waserthaler”. Its name refers to Heinrich Waser, mayor of Zurich who was thought to have betrayed his hometown. This was not true. We will tell you the full story. Who and what was Aesillas who was placing his name so prominently on Macedonian coins. The search for him leads us to the means the Romans used to conquer Asia Minor. Charles of Anjou, Conradin and Rome, capital of the world, those three are the main characters of our story which is about the bloody end of the Staufer and the conquest of Sicily. Why does the eagle of the Austrian coat of arms hold hammer and sickle in his talons? Does he want to declare his love to Communism? This podcast goes further into this matter and will find a completely different reason. The legendary wealth of king Kroesus is still known today. This may be based on the fact that his coins circulated even centuries after his death. After all, he was the first to introduce a bimetallic currency system. Do you know how athletes were honored during the era of the Roman Empire? This podcast deals with price crowns, trophy money and professionals who made big money due to their talent. Do you know, what is the obverse of the coins from Syracuse? The winning quadriga or beautiful Arethusa? In order to answer the question we have to talk about the pantheon of Syracuse. 19th century Germany was bothered by many different currencies. Nevertheless, in the end these currencies were brought together. This podcast will tell you how. Silver was incredibly precious in the early Middle Ages due to the fact that it was extremely expensive to get out of the earth. How this was done, we will see in Melle, the only preserved silver mine of the medieval epoch. Agrippa was no Roman Emperor. Nevertheless we are finding his portrait on a coin. Who was this man? And why had his grandson him pictured on coins. How do you reign an empire without being equipped with telephone and internet? Share the work! Like Diocletian did. He created the tetrarchy and ruled the Roman empire very successfully with a little help of his colleagues. What do you prefer as head of state? An absolute ruler or a pure figurehead? Sometimes this discussion is mirrored in coinage: Venice made just one coin featuring the portrait of a doge. We are telling you its story. Long before man paid with coins he used standardized objects as money. Merchants preferred metal: gold, silver, copper, bronze all over the world through the ages. They were notorious for their sumptuary way of life, those Sybarites, whose city was destroyed in 510 BC. But they should have been known for being a member of the probably first monetary union in history. What do you need for waging a war. Very simple. Money, money and more money. But what’s to do if you run out of it? Very simple. You can batter your silverware to pieces as it was done to pay the soldiers in Jülich in 1610. Head or tail – this question is answered by tossing a coin. The head, the portrait has become a synonym for the coin’s obverse. But since when? And who was the first to use his portrait on coins? It’s an American legend the Saint-Gaudens double eagle. A president and an artist formed a plot to enforce it against the mint’s wishes. It became a success in the end, because the artist died sufficiently early. The Conflict of Investitures was not only a matter of clerical authority, but also of money. The Pope demanded the rich benefice of Heidenheim of Bishop Heinrich of Cologne. How he managed to receive it, you will get to know in this podcast. Long before the first man on earth thought about striking a coin, cowries were used for payment. And at least in 1960 AD in some parts of the world cowries were still accepted as money. In 406 a Carthaginian army was laying siege to Akragas. Mercenaries were standing on the other side of the wall. They were well paid, but at some point the politicians of Akragas ran out of money. What happened then, you will be told here. Wallenstein was an ingenious commander and a businessman whose unscrupulousness would make today’s managers change color. Here you will get to know how his consortium ruined the European monetary system. This podcast shows you the first Italian coin using the decimal system. It was struck on behalf of Napoleon on the occasion of his victory at Marengo. The Macedonians had a kind of an image problem. The Greeks were not sure, whether this Northern tribe was really a part of their people or not. Philipp II created a series of coins in order to prove this fact beyond doubt. When Germany laid in ashes, there was a need for new symbols indicating a fresh start. The mighty oak tree shrank to a little oak sprig held in her hands by a pregnant woman. Nero was quite a popular emperor in his day. And when he received the brother of the Parthian king, the whole of Rome had a celebration. Constantinople was looted due to the fact that the representatives of the Papal army of crusaders were not really capable to calculate. This story is about a medieval debt trap and its bad consequences. What did the coins look like Judas was given for betraying Jesus? And why is on the obverse of the money used for Jerusalem’s temple taxes the head of Baal? Here you will find the answers. The Battle of the Milvian Bridge changed our world. The christogram is wedded to this event. Constantine made it the symbol of his victory. This podcast is dedicated to the first use of the Chi-Rho on a coin. Terrorism isn’t a new invention. In the 2nd half of the 19th century political murder became a common tool. Anarchists attempted five times on czar Alexander’s II life, before the last assault cost his life. This podcast is telling the story. Demetrios Poliorcetes (ca. 336–283) was one of the powerful successors of Alexander the Great. He attained everything. He even managed to be worshiped as God. Why and how he did so is the topic of this podcast. Though the military importance of knights was a thing of the past, the duke of Milan had himself depicted in shining armor. This podcast considers the relevance of chivalry and tournament at the beginning of the early modern period. Hadrian (117–138) was a very special emperor. His voyages made Rome a cosmopolitan Empire. One of them brought Hadrian to Egypt. Our podcast reports about this trip. Today’s Swiss Frank features the same picture as in 1875. Anyway, since the Frank’s introduction in 1850 the subject has changed only once. This podcast explains the pictures and their meaning. Athens’ power was based on the treasures of Laurium. There, silver was mined by slaves. This was a lucrative business. A slave owner calculated a return of 30%! More you will hear in this podcast. Savants of the Renaissance loved shrewd riddles. They called those rebuses “emblemata”. This podcast demonstrates how to solve Renaissance riddles. The dollar may be the most common money on earth. Nevertheless, its imprint harbors many a secret. This podcast pursues the mystery of the number 13.